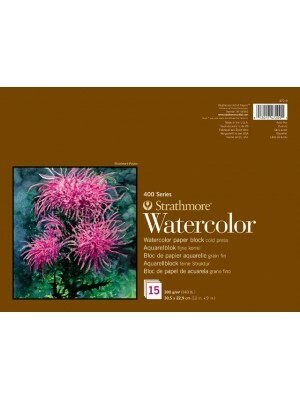 Strathmore Watercolor Paper Block, 300grams. Cold press. 17.8cmx25.4cm. Μπλοκ Mixed Media της Strathmore. Περιλαμβάνει 15 φύλλα των 300grams. Vellum 22..